As the holidays draw near and temperatures drop, we welcome a warm drink to help us feel snug and cozy. Nothing hits the spot better than that iconic blend of eggs, milk, sugar, and spices, fortified, perhaps, with a splash of spirits: hot eggnog. I’m not talking about the packaged, cloyingly sweet, near-gelatinous stuff in grocery stores. Rather, I’m talking about the luscious, frothy, custardlike beverage made from scratch. 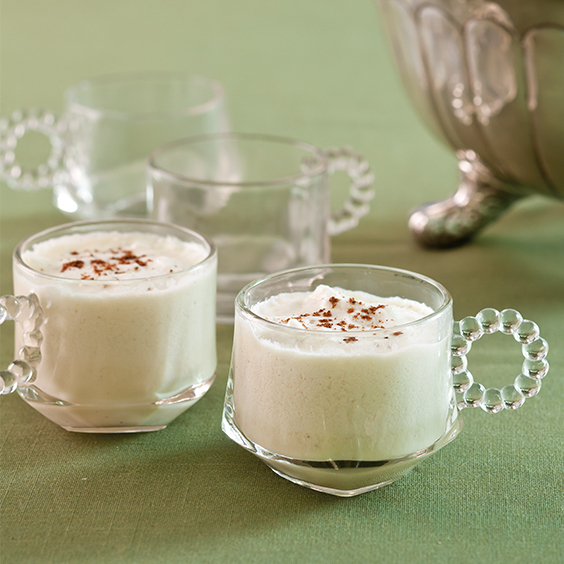 Although its exact origin is uncertain, hot eggnog has been a mainstay of winter social life for hundreds of years. 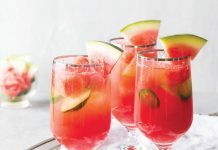 It can be served hot or cold, with alcohol or without, in dainty punch cups or in substantial mugs. Eggs in the nog can be cooked to a safe temperature or incorporated raw. Potential food safety concerns can be alleviated by using pasteurized eggs (available in many grocery stores) or by using a recipe that calls for cooking the eggs, as my mother always did for her hot eggnog. Vanilla and freshly grated nutmeg are standard spices for any good eggnog, but feel free to experiment with small amounts of other flavorings such as cinnamon, cloves, allspice, and star anise. 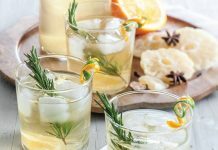 Some recipes call for almost as much alcohol as milk or cream. 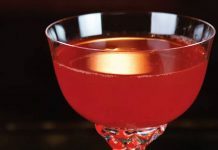 Traditional choices are cognac, brandy, rum, bourbon, or sherry; more modern additions include Grand Marnier (orange), Kahlúa (coffee), and amaretto (almond) liqueurs. Spirits can be added to the entire batch or to individual servings. Use the finest ingredients you can find, and serve your hot eggnog in grand style when entertaining. Just remember, if you offer it warm, use a tempered-glass punch bowl and cups or mugs that can take the heat. In a large heavy-bottomed saucepan, heat milk, vanilla bean and seeds, andsalt over medium heat to 190º. Do not let mixture boil. In a large bowl, beat egg yolks with 1 cup sugar on medium-high speed with a mixer for 2 to 3 minutes or until mixture becomes pale and has a ribbonlike texture. Slowly pour 2 cups hot milk mixture into egg yolk mixture, beating on low speed constantly. Pour egg mixture into pot of hot milk, whisking constantly. Add heavy cream, and cook over medium heat, stirring frequently with a wooden spoon, until mixture has reached 170º and is thick enough to coat the back of the spoon. Remove pan from heat; discard vanilla bean, and set aside. In a large bowl, beat egg whites and remaining ¾ cup sugar on high speed with a mixer until stiff peaks form. Pour milk mixture through a fine-mesh sieve into a large serving bowl. Carefully fold beaten egg whites and nutmeg into milk mixture. Ladle into punch cups or mugs. Add spirits to taste, if desired, and garnish with nutmeg. TIP: If you prefer cold eggnog, after removing the pan from heat, cool mixture to room temperature before refrigerating, along with unbeaten egg whites, at least three hours or up to overnight. When ready to serve, whip egg whites with sugar, and continue recipe as directed. NOTE: Substitute 1 tablespoon pure vanilla extract for vanilla bean if desired. Leftovers can be refrigerated up to two days; serve cold or gently reheat. According to the USDA, people with health problems, the very young, the elderly, and pregnant women should avoid eating foods containing raw eggs. Pasteurized egg whites can be substituted, if necessary. Sarah Liberta’s company, HERBS by Sarah, provides herbal education, research, and business services. A lifelong educator, Sarah teaches culinary garden classes for Louisiana State University’s Osher Lifelong Learning Institute and other programs.